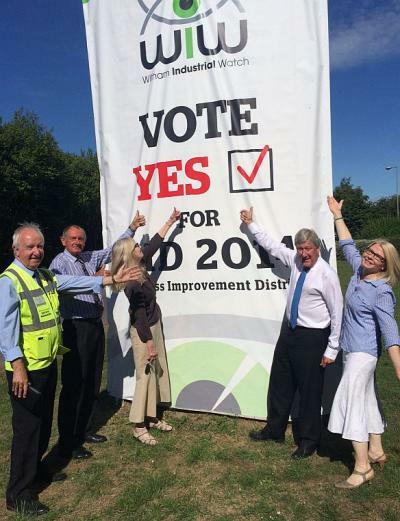 “YES” vote was announced by the Electoral Reform Services today following a successful campaign by Witham Industrial Watch for Business Improvement District (WIW BID) 2014-2019 with local businesses. 91.5% positive outcome for the next five years of Business Improvements on the Witham industrial areas. “The majority of the Business ratepayers in the proposed BID area who voted, voted in favour of the proposal, both by aggregate rateable value and numbers voting,” The Electoral Reform Services. As Witham’s reputation for a safer and cleaner industrial area grows it is hoped that new companies will invest in the town bringing increased employment opportunities for local people. The diversity of businesses on the industrial areas require a diverse range of skills from apprentices and skilled workers making new products, selling the goods and providing the administration support. “We look forward to the next five years of Business Improvements in Witham,” commented Kate Carling.